Add some color and a few newer cars to this photo and it wouldn’t look much different today. 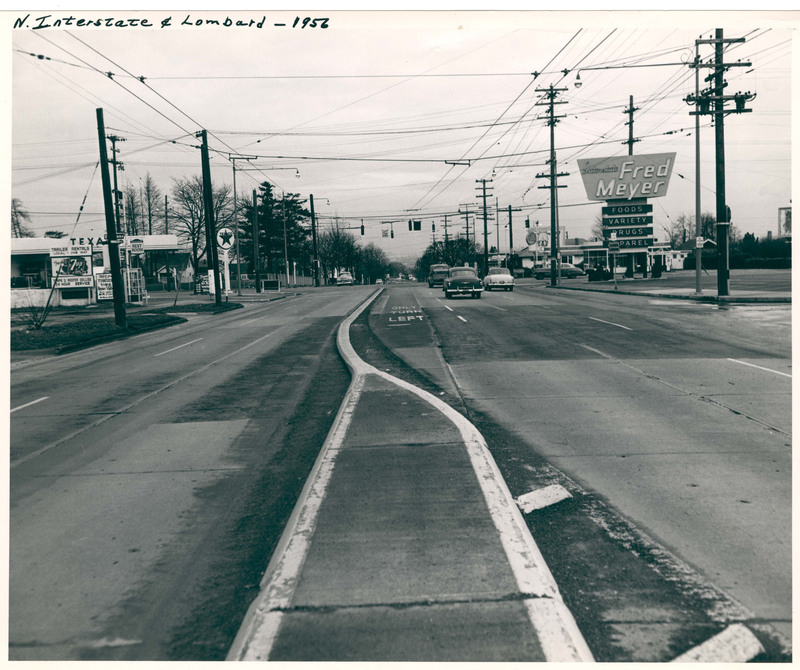 This view west on NE Killingsworth at 30th Avenue has many different signs but the basics are still there. 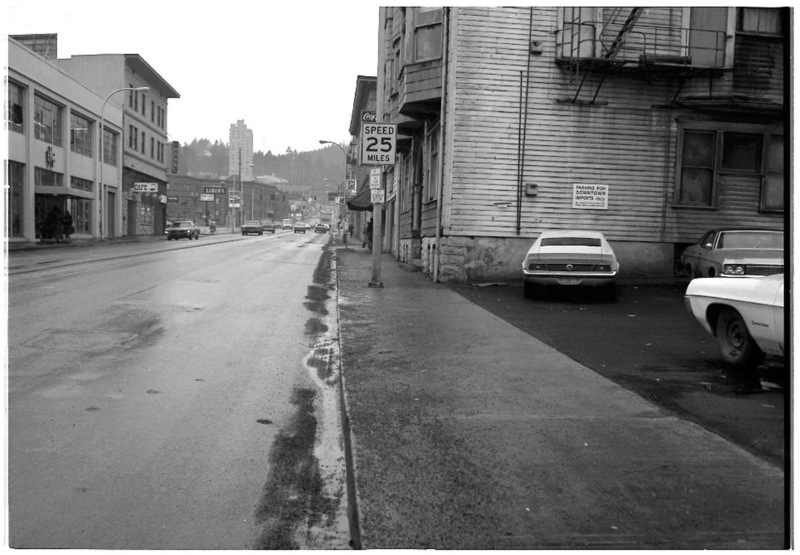 It was a cold and dreary winter day as people made their way westbound on W. Burnside at 16th Ave.; gravel indicates a recent snowfall. The old clapboard building on the right is the same building shown here in somewhat better days. 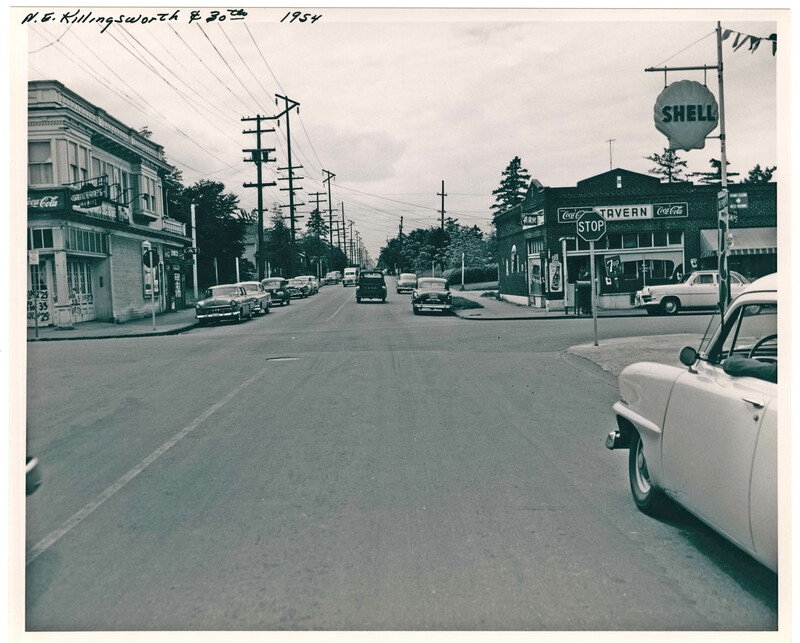 It appears to be a bustling lunch hour looking north on SW 4th Avenue at Washington Street in this 1946 image. 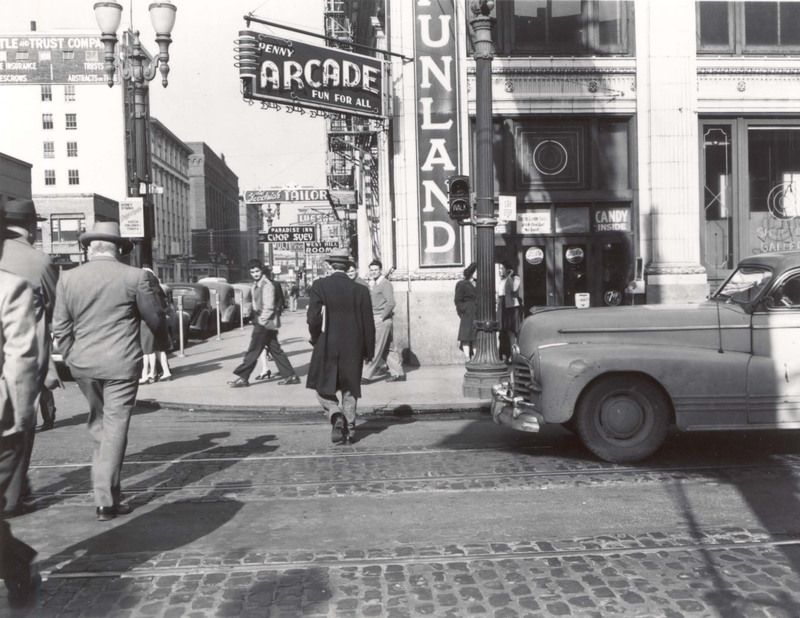 The Funland Arcade was housed in the 1912 Merchants National Bank/Hibernia Savings Bank building. The next year the building would lose it’s stately bearing and be given the sleek, modern remodel you see today. More on this tomorrow.